The fourth-generation Toyota Prius will “establish new benchmarks in fuel economy” when it lands in New Zealand next year, thanks partly to the first use of a flexible modular platform that will underpin multiple new models from the carmaker. 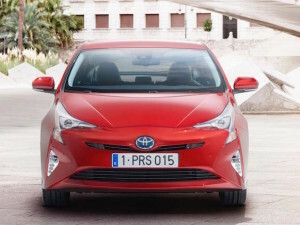 The so-called TNGA (Toyota New Global Architecture) platform has allowed Toyota engineers to develop a new hybrid drivetrain for the Prius, in turn cutting emissions to around 70gr/km and fuel use to roughly 3-litres/100km. 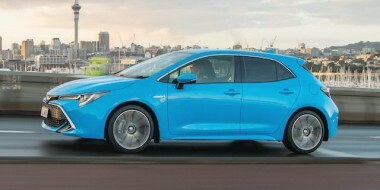 The existing four-cylinder 1.8-litre petrol engine has been reworked to the point where it is described by Toyota NZ product manager Spencer Morris as the “world’s most thermally efficient” unit. It is mated to a smaller electric motor wired to a more compact nickel-metal hydride battery pack. 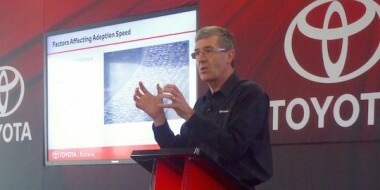 The result, apart from fuel savings, says Toyota, is sharper performance and an improvement in charging times. A separate electric power pack drives the rear wheels in what Toyota calls an ‘e-4WD’ system. It has been designed to boost traction in poor weather and works only at speeds of up to 60km/h. The all-new rigid body and rear double wishbone suspension set-up are expected to improve handling and responsiveness. 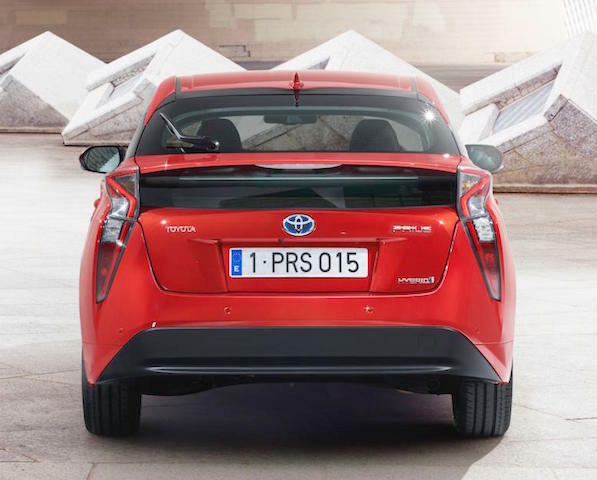 New Prius is 60mm longer and 15mm wider than the current model, dimensions which aid cabin space. The more compact battery pack under the rear seats also liberates a bit more luggage room. Inside, the cabin has a wrap around cockpit design which increases both driver and passenger comfort, while improving visibility and access to controls. 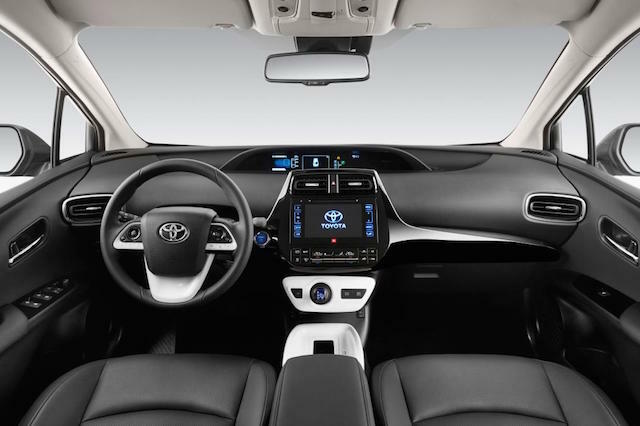 The Toyota Safety Sense package has been added to the Prius which includes a Pre-Collision System, Lane Departure Alert, Automatic High Beam and Dynamic Radar Cruise Control. 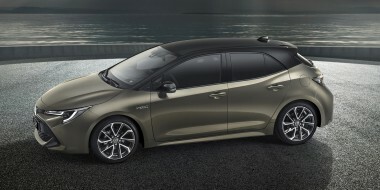 Clearly, the car’s exterior design has been influenced by Toyota’s hydrogen car, the Mirai, especially the design of the swept-back headlights and vertical tail-lights. 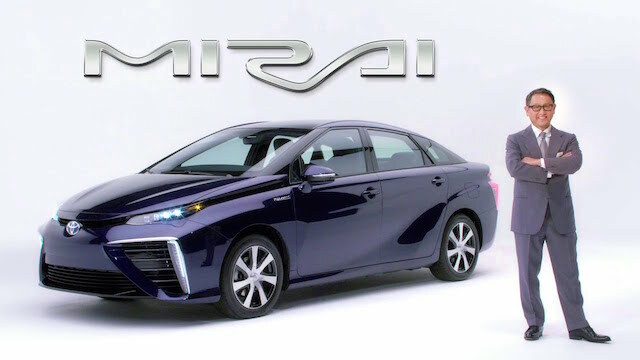 When Toyota launched the Mirai, it said the design was meant to evoke “the flowing shape of a droplet of water to express the vehicle’s characteristic of drawing in air and emitting water.” Now it says the new Prius is a “sibling” to the Mirai. The Mirai goes on display in Australia soon to showcase Toyota’s fuel-cell programme. Toyota is directing more of its research and development into hydrogen cars, believing they are ultimately more efficient than battery-electric cars. It will continue with petrol-electric hybrids, but is distancing itself from battery-electric vehicles which, it says, guzzle so much energy with high-speed charging technology that it defeats the purpose of the EV as a sound means of transportation. “Toyota isn’t denying the benefits of EVs,” said Yoshikazu Tanaka, chief engineer of Mirai development. “But we think the best way to use them is to charge them at night (to avoid peak power consumption hours), and use them for short distances during the day. Instead, says Tanaka, hydrogen fuel-cell vehicles (FCVs) offer the most promising zero-emission alternative to conventional fossil-fuel cars since they have a similar driving range and refueling time. 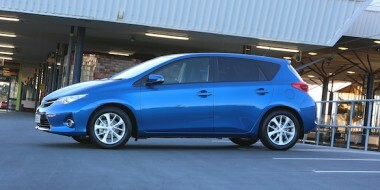 • The first Prius landed in New Zealand in 2003. At the end of last month, 12 years on, Toyota NZ had sold 2507. Two other Prius variants, the C and V, arrived in 2012. In the three years since to the end of August, 1402 C and 173 V models had been registered.